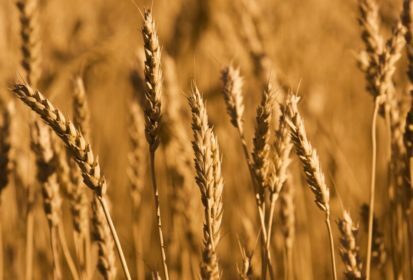 Chicago | Reuters — U.S. wheat futures climbed nearly two per cent on Wednesday on a mix of technical buying and worries about persistent dry weather in major exporting countries including Russia and Australia. Corn and soybeans sagged as weather in the U.S. crop belt remained mostly favourable. Chicago Board of Trade July wheat settled up 9-3/4 cents at $5.19-3/4 per bushel after climbing to $5.31-1/4, its highest in nearly a week (all figures US$). CBOT July corn ended down 5-1/2 cents at $3.78-1/4 after touching $3.78, its lowest since March 23. July soybeans fell seven cents at $9.94-1/4 a bushel, ending below psychological support at $10. Wheat advanced for a second session as the trade focused on global weather concerns, especially in the Black Sea region. “All I’ve been hearing about the last few days is how dry it is in Russia,” said Jack Scoville, analyst with the Price Futures Group in Chicago. Russia is the world’s biggest wheat exporter. Some analysts cited disappointing early yields in the southern Plains as the U.S. hard red winter wheat harvest gets rolling, but the U.S. Department of Agriculture said the harvest was only five per cent complete as of Sunday. CBOT corn futures fell as U.S. weather continued to bolster crop prospects, given outlooks for periodic showers and warm temperatures. USDA this week rated 78 per cent of the U.S. corn crop and 75 per cent of the soy crop as good to excellent. “The weather for the Midwest is overall pretty good, with the potential for ridging to stay out of the Corn Belt,” said Terry Reilly with Futures International, referring to a high-pressure ridge that has brought hot weather to the Plains. Uncertainty about U.S. trade relationships with China, the world’s top soy importer, and other countries hung over the grain market. Traders awaited news about an offer by China to import an extra $70 billion of U.S. goods over a year, which on Tuesday had raised hopes of progress in trade negotiations. Scoville also noted duties imposed Tuesday by Mexico on U.S. steel and agricultural products, including pork, in response to import duties on metals imposed by President Donald Trump. “With Mexicans going after the pork, that’s going to hurt pork prices and maybe reduce the herd. That might hurt corn consumption a little,” Scoville said.